Experience Salem from the water aboard Friendship sloop Wenonah. Day sails are a great opportunity to see the sights that Salem has to offer. We head out from Pickering Wharf Marina, set sail and choose the best direction for sailing that day. Salem Sound is well protected, so it’s always a great time for sailing in the summer. We’ll take a tour of the town and see the historic mansions on the Sound from the water. Enjoy an unusual view of the rich history and cultural heritage of Salem and the North Shore as you sail on by. We will cruise through a harbor full of boats, either on their protected moorings or underway for a day of fun on the water; it is truly a sight to behold. With the smell of fresh sea breeze and the sound of waves breaking against the shore, you will glide perfectly along the coast lined with historic buildings and landmarks. The fame of the picturesque lighthouses that pepper Salem Sound is evidenced by the multitude of postcards and pictures for sale in the local shoppes. 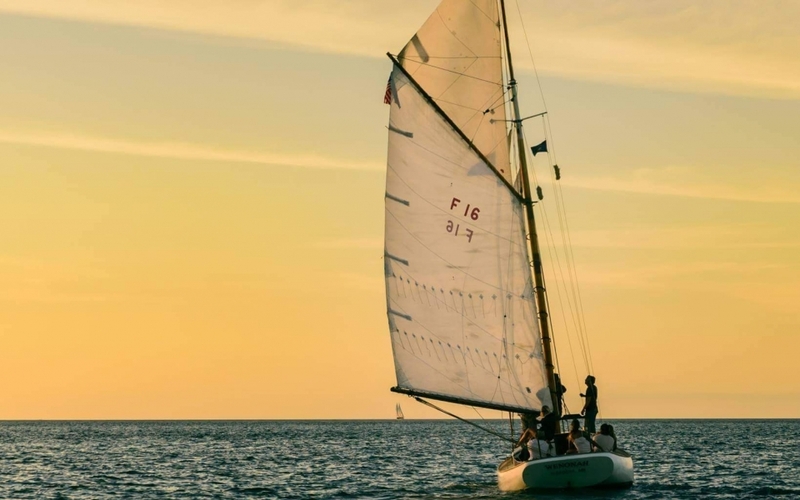 Come view these interesting historic buildings from the water on a daysail with Sunset Sail Salem, and spot the local wildlife that surrounds them. Pack a lunch and make a day of it! 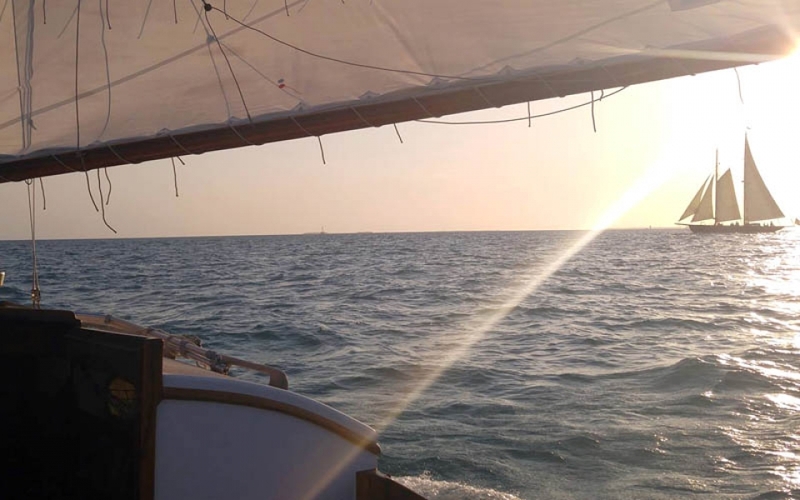 When you come out with Sunset Sail Salem, it’s your boat! 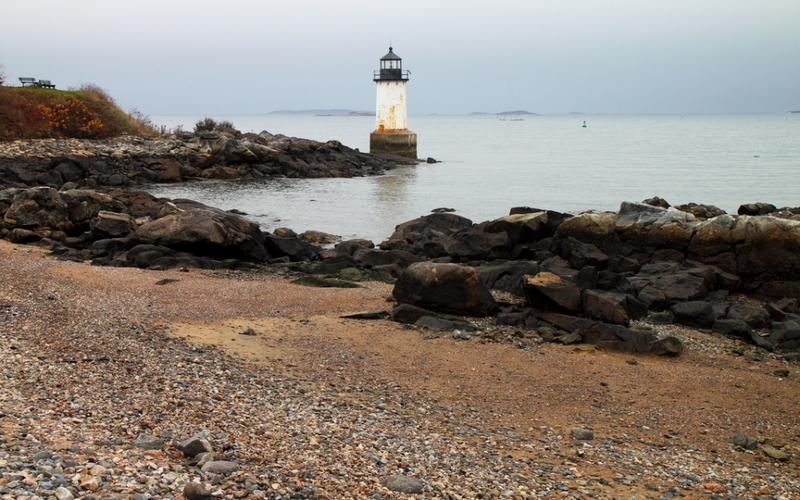 We can be out for as long as you like, stopping to swim, or sailing by Baker’s Island Light, Eagle Island and Marblehead. Stay into the evening and catch a beautiful Salem sunset. We’re a family and pet friendly vessel, everyone’s welcome to explore Massachusetts water by boat! 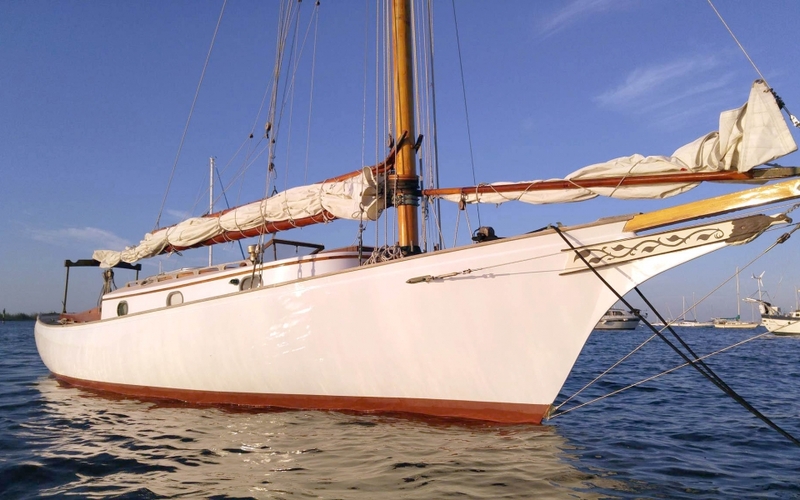 Wenonah isn’t called a friendship sloop for nothing, come experience the sailboat ride of your life! Friendship Sloop Wenonah is a proud member of the Friendship Sloop Society.